Selby fail to run the clock down and lose a thrilling match with the last play of the game. With Selby securing their league survival the previous week, this last match of the season away at Hullensians could have turned into a bit of a non-event – however, the hosts own survival worries, together with a commendably committed effort from the Swans turned this into another last minute thriller. At kick off, Hullensians needed a win to guarantee their own league survival and either by chance or design a sizeable crowd of their former players were gathered to help roar their men home and both teams did not disappointed the occasion as they started well with some committed attack from Hull, met with equally resolute defence from the Swans. Selby’s scrum gained immediate dominance and Josh Cruise opened the scoring with a long range penalty before Selby’s old bugbear of conceding needless penalties gave Hull good field position for their forwards to pile over for their own 5-3 lead. With Selby now struggling to hold onto possession, Hull were seeing plenty of the ball but excellent defending, with Charlie Cicero and Tom Edwards to the fore, repelled all invaders – and then a slice of luck for Selby as, after the unsighted referee missed a Selby knock-on, Danny Wilkinson dummied his way over for a 5-10 lead. There was just time for Hullensians, after yet another Selby error, to kick a long range penalty of their own for 8-10 at half time. With the breeze picking up in Selby’s favour, they were in the second half driving seat but a succession of mind-boggling penalties for handing in the ruck kept them pinned back in their own half. However, with Hullensians opting to trundle the ball up the middle rather than using their speedy wingers on a couple of overlaps, the Swans defence held firm – and then punished the hosts as, after a rare foray into the opposition half, Josh and Harry Cruise combined exquisitely for the latter to dot down under the stick for a 8-17 Selby lead. And that wasn’t the half of Hullensians problems as news began to filter in from fields afar that fellow relegation candidates Old Rishworthians were pulling off an improbable win against runaway champions Moortown, meaning it was essential that Hullensians now had to win to avoid relegation. With Hullensians nerves now considerably more frayed, they did well not to buckle under the pressure and instead came fighting back for their gargantuan replacement prop to steamroller over to close the score to 15-17. Some excellent clearance kicks downfield from Josh Cruise then paved the way for Selby to camp in the Hullensians half, as the clock clicked down to what was looking like their inevitable demise. Two kickable penalties from the normally reliable Cruise sailed wide before another penalty gave Selby a five yard scrum right on the Hullensians line in the corner with time nearly up. The ball was duly won and Cicero came within inches of crossing to put Hullensians out of their misery - but then, instead of sticking the ball up their jumpers and seeing the clock out for the win, Selby decided to encapsulate their entire season in a 30 second vignette by firing an optimistic pass out, losing possession, and then missing several tackles as Hullensians sent the ball out to their right winger - who promptly blazed up the touchline, past their ecstatic clubhouse supporters, for a last-gasp, length-of-the-field try to win the game and save their Yorkshire One skins. Buy that man a drink! So, while a disappointing loss on the day, the avoidance of relegation (yet again) can be counted as a season-long success for Selby, and there has been definite signs of improvement in Selby’s play over the year which augers well for the new campaign ahead. And that will be overseen by a new head coach as present incumbent Steve Cruise moves upstairs to the Director of Rugby role - after doing a fantastic job in returning at short notice during last season to save a sinking Selby ship. Well done Steve, well played! 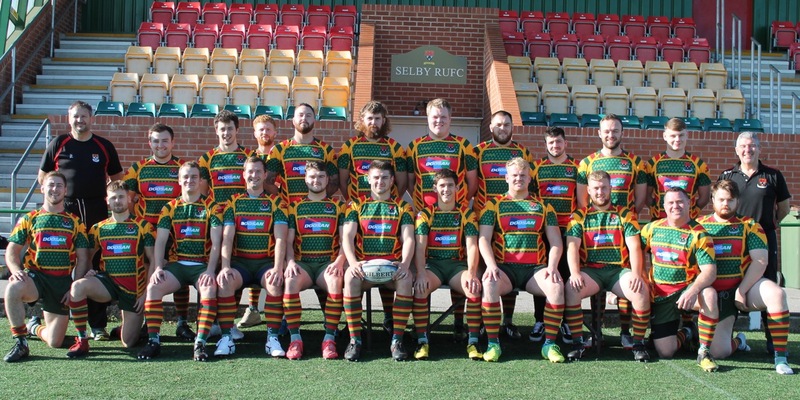 While Selby first team’s season is now over, Selby Thirds quest for glory continues this Saturday at 3pm at home to Wharfedale in the semi-final of the North Yorkshire Trophy – and all are welcome.